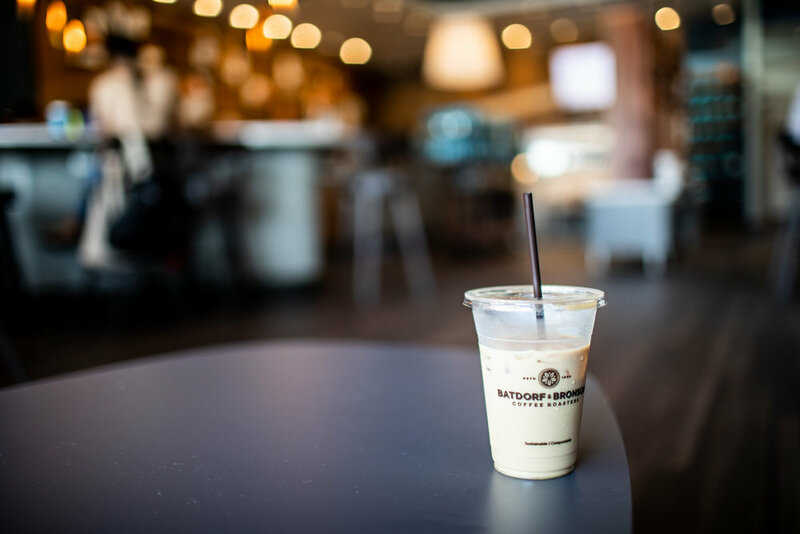 Washington State’s Batdorf & Bronson coffee roasters has its East Coast operations located in Atlanta’s Westside district, and the fourth branch of its Dancing Goats brand of cafes (named after its signature coffee blend) has recently opened in Buckhead, joining the Midtown, Decatur, and Old Fourth Ward locations. 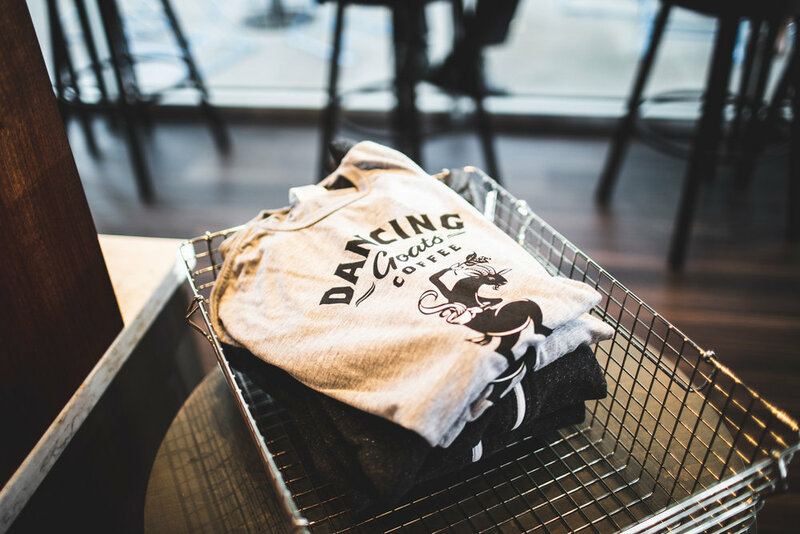 (The Old Fourth Ward location near the Ponce City Market is perhaps the most well-known Dancing Goats coffee shop in the metro Atlanta area). The Buckhead location, which opened in late spring of 2018, is located in the Buckhead Exchange shopping center at 3167 Peachtree Road (at the Grandview Avenue intersection with Peachtree Road). There is free parking in the lot here, but it gets busy in peak times, as the parking is shared with next-door establishments such as Cherry Blow Dry Bar Buckhead, Storico Fresco Alimentari e Ristorante, and Kale Me Krazy. 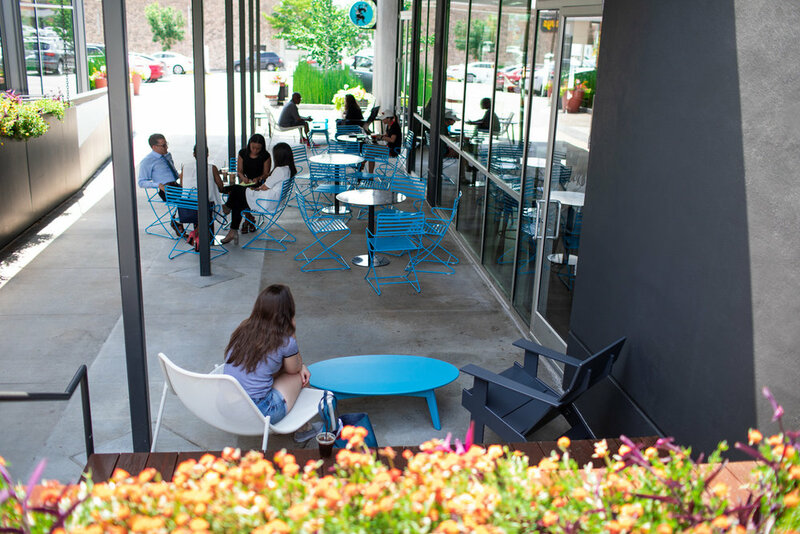 The Buckhead location offers a modern design and spacious seating, both indoors and outdoors. The outdoor seating area is shaded which is an added bonus. Photos from the Buckhead location of Dancing Goats (from a visit earlier this summer) follow. Outside view of the new Dancing Goats coffee shop in the Buckhead neighborhood of Atlanta, GA. The menu offers traditional coffee options as well as teas. The interior of Dancing Goats in Buckhead. There are high/bar chairs in one section indoors and traditional-style chairs at another section inside. Indoor decor at Dancing Goats in Buckhead. There is plenty of seating inside Dancing Goats. An iced Batdorf & Bronson coffee. T-shirts for sale at Dancing Goats in Buckhead. The Dancing Goats logo (this logo rotates). The “Now Open” signs were evident in front and behind the store for a couple of months after the grand opening. An outdoor patio at Dancing Goats in Buckhead. The outdoor seating is covered and is well-shaded. Another view of the front of the Dancing Goats in Buckhead. 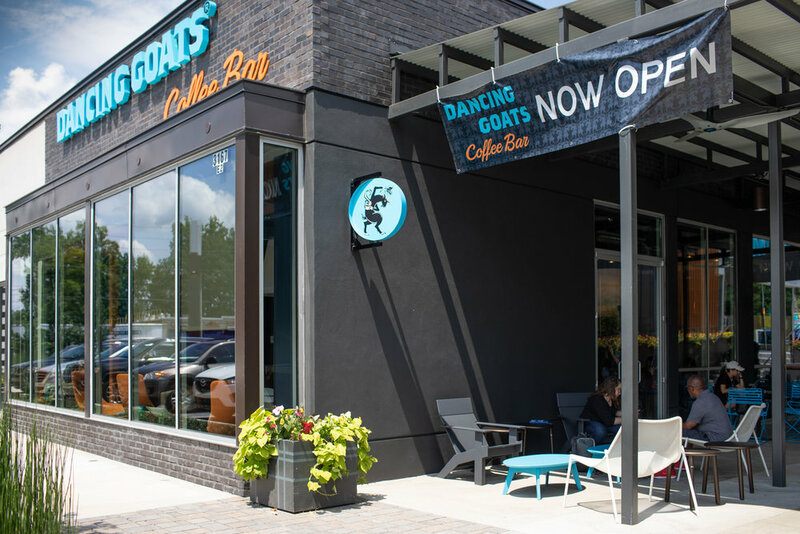 The new Dancing Goats location in Buckhead offers an excellent alternative for a coffee destination compared to the nearby Caribou Coffee and Starbucks located a couple of blocks away (on Peachtree Road and Piedmont Road, respectively). The aesthetic of this new Dancing Goats shop fits well with what one might expect in a Buckhead-area development.